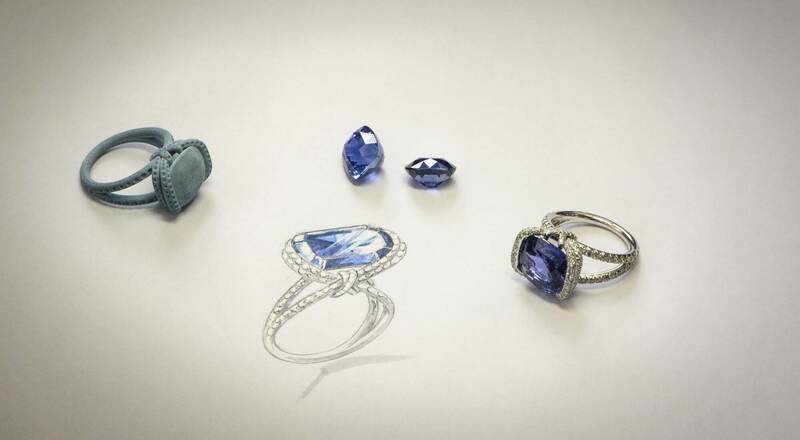 Chaumet has unveiled a new high jewelry collection of twelve rings. Gemologists, goldsmiths, stone cutters, setters, enamellers and other artisans together spent nearly 200 hours to craft these pieces, some of them set with 224 diamonds. Another has a spectacular 10.69ct cushion cut sapphire. All of Chaumet’s unique savoir-faire is found in this collection, a tribute to the elegant “lien”, or cross motif, an icon of the House since 1907.